Air-Mite has been manufacturing pneumatic presses since 1952. We are continuously improving the durable, time-tested design of our presses–our current line offers versatility, ease of use, and affordability. Air-Mite presses are uniquely designed with adjustable height cylinders. 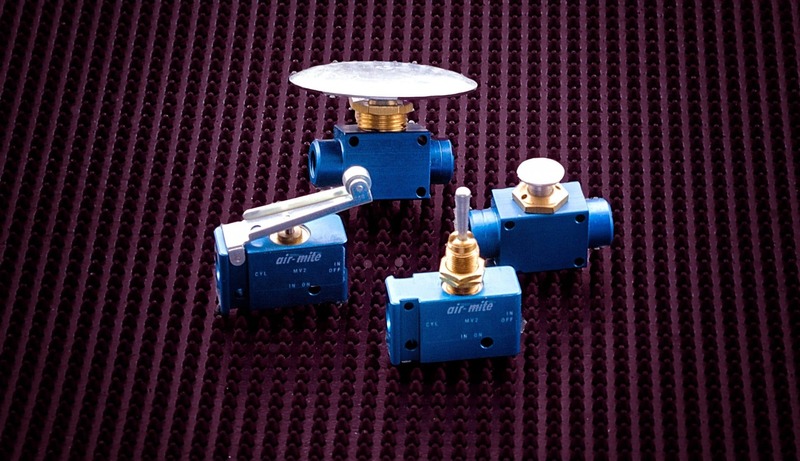 Air-Mite Pneumatic control valves control the flow of pressurized air. We offer quality control valves, pilot valves, solenoid valves and lockout valves. We Provide custom valve solutions and specialize in valve design. Contact us for specialized solutions for your pneumatic systems. 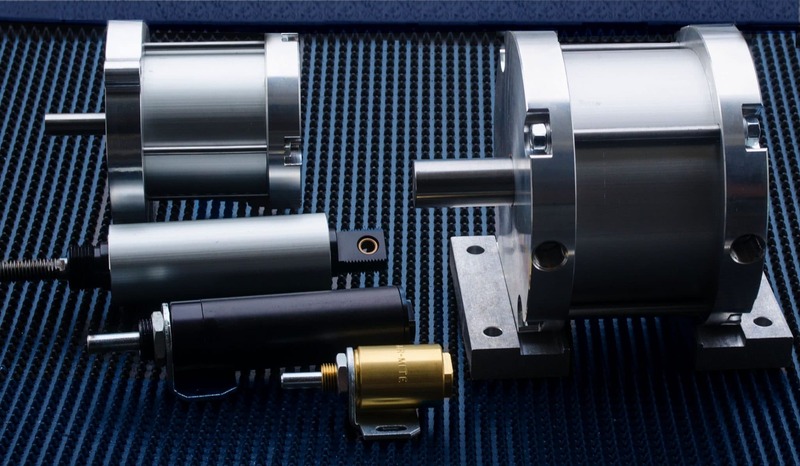 We offer three main types of pneumatic cylinders – Tie Rod, Round Line, and Micro Cylinders. Our product line is designed for a variety of applications. Custom cylinders are also available to match specific needs. Call us to design and develop cylinders to meet your requirements. 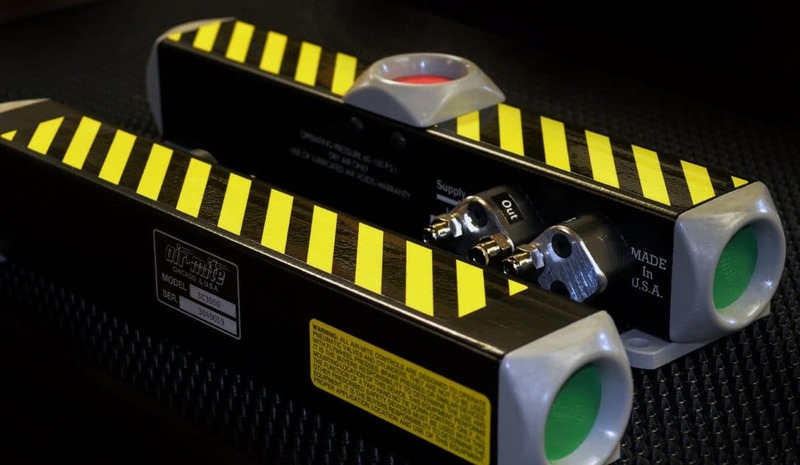 Our two hand safety control systems are designed to be used in applications that require both the operators hands to be engaged in order for the pneumatic signal to be delivered to an automation system. This ensures signals are only generated only if both push buttons are activated. 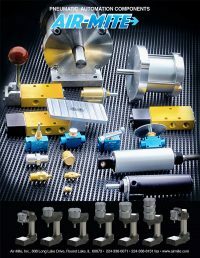 Your Company for Air Presses, Air Cylinders, Air Valves and other Pneumatic Automation Components. 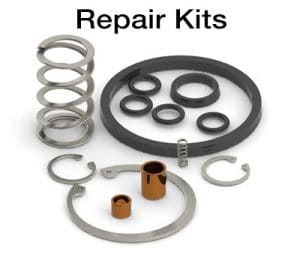 Review our repair kits for Air Presses, Air Cylinders, Air Valves and other Pneumatic Automation Components. Since 1952 Air-mite has been your source for all things pneumatic. While we are famous for our presses, you can also find a broad select of pneumatic controls, pneumatic cylinders and valves. Air-mite manufactures a pneumatic solenoid valve for virtually any need or situation. Browse our catalog below to view a variety of air cylinders. We have a full line of tie rod cylinders, nose mount cylinders and even a single action air cylinder. We also provide custom air control valve designs. If your project requires a specific pneumatic actuator we can help with that as well. Combine with one of our pneumatic solenoid valves for a proven and reliable solution for your next air project. As mentioned above, all these items can also be custom designed and built to your exact specifications. Air-mite specializes in all forms of industrial controls, cylinders and valves. We have our own quality control team that does extensive testing on all our products to ensure they are not only sturdy but function as needed the first time. 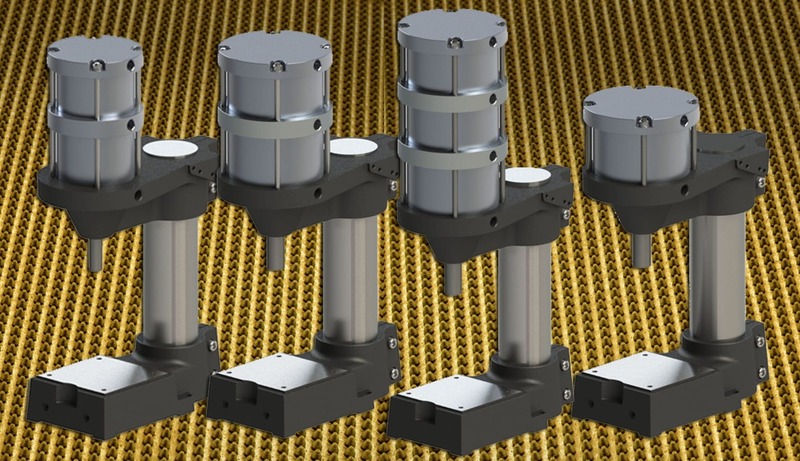 Our valves are available with a variety of different operators: manual, mechanical, solenoid, or air-piloted. Air-mite presses are designed to be adjustable, giving you the right amount of air pressure, allowing you to control the force it outputs. In fact, most of our presses are made to order. If you need a custom designed and built air press then you need Air-mite.